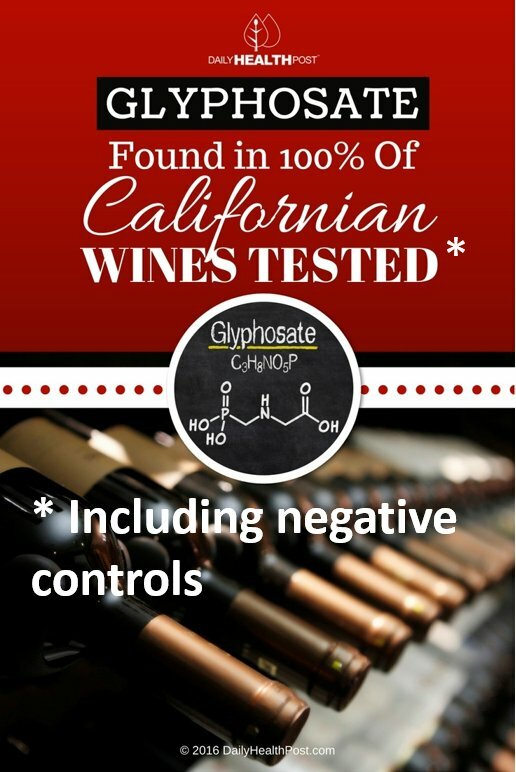 A study on glyphosate residues in Californian wines caught my eye because Kevin Folta from the University of Florida (@kevinfolta on twitter) tweeted about it. He provided my with a link to the study that seems to have published by “Moms across America” in 2016. They also provide some details of the study in an accompanying PDF, which you can download here. Unfortunately, the PDF is quite convoluted and I couldn’t always make sense of the text (it certainly didn’t help that the provided references are largely incomplete). But if I interpret the description and the presented analysis results correctly, then the study comprised samples from 10 wines, that were analyzed in two groups. In the first group of three wines, glyphosate was found at concentrations of 0.9-2.5 ppb (average=1.5 ppb, maximum=2.5 ppb). In the second group of 9 wines the glyphosate concentrations were 0.7-18.7 ppb (average=5.6 ppb, maximum=18.7 ppb). 1 ppb equals 1 mikrogram glyphosate per Liter wine, which is 0.001 mg. So far, so expected. Given the enormous use of glyphosate basically everywhere and the fact that analytics are quite sensitive these days, one wouldn’t expect anything else. And the findings are quite consistent with studies on other food items. So, why the fuzz? Where are the issues? In chemical-analytical studies two types of controls can be used: negative controls that are known to not contain the chemical of interest, and positive controls that contain a known amount of the chemical of interest. Negative controls are used to ensure that the analytics do not produce false positive results. Positive controls are used to demonstrate that the method produces quantitatively correct results. […] when they find it in EVERYTHING it probably isn’t in ANYTHING. When the negative control is positive, something is wrong with the assay. There were no negative controls used in the study. At least I couldn’t find anything in the study report that can be found at the indicated “Moms across America” site. That is, the statement simply doesn’t apply. It cannot be used as an argument to criticize this particular study. In a perfect world a negative control for the study at hand would be wine whose vines would have been grown in a greenhouse, watered with filtered water and then processed in a wine-yard that fulfills the criteria of a chemical-analytical lab. Which is, for obvious reasons, impossible to achieve. A simple surrogate for such a “perfect world” negative control would be distilled water fortified with ~10% ethanol and perhaps glycerol, wine-typical organic acids and tannins. But, again, I couldn’t find any indication that such a sample was included in the study. Organic wine is certainly completely unsuited to serve as a negative control (and the study doesn’t claim that either). Simply because organic wine can be easily contaminated by spraydrift, the water used or during the processing and aging in the wineyard. The study can certainly be criticized for the lack of negative controls, and it definitely warrants heavy critique for an incredibly lousy documentation (why the hell did nobody from “Moms across America” consult with an analytical chemist? why didn’t they talk to somebody who is able to put together a coherent text that allows one to understand the study?). But the study cannot be criticized on the grounds that the negative controls turned up glyphosate-positive (which would be a clear indication that the results are unreliable). Simply because there were no negative controls. Again, I might have missed something. Please let me know if that’s the case. We have recently learned that the detection of glyphosate is an indicator of the presence of many other co-formulants in glyphosate-based herbicides which, combined, are 1000 times more toxic than glyphosate alone. No. One simply cannot conclude that the presence of glyphosate is “an indicator for the presence of co-formulants”. It’s theoretically possible that they might be present, but it’s far from demonstrated and perhaps not even likely. It depends on whether said co-formulants are (1) also taken up by the plants and deposited in the grapes, and (2) are stable enough to survive the fermentation and aging of the wine, and (3) are transferred to the final wine despite it being filtered prior to being put in a bottle. Only if the exposure would be due to a glyphosate-based herbicide being sprayed shortly before the harvest (and the grapes are not being washed) one could speculate a priori that co-formulants might enter the production chain. But even then, see points (2) and (3). However, I definitely agree to the statement that co-formulants are quite toxic in themselves, which is why glyphosate-based pesticides are far more potent than pure glyphosate. Which is an issue for spray operators, bystanders and farmers. And the fact that we know very little on the fate and behavior of co-formulants in the environment is certainly a knowledge gap that we need to close. This is a question that I don’t dare to tackle just in passing. So, for now, just comments to some additional issues that I came across in the context of the “Moms of America” study, and the critiques that the study sparked. The US EPA has established tolerance levels for glyphosate between 100 ppb and 400 000 ppb, (0.1-400 mg per Liter) depending on the food commodity. The higher tolerance levels are for animal feed such as hay or grass. EFSA (the European Food Safety Authority) has established maximum residue levels (MRLs) for food items between 50 and 50 000 ppb. It should perhaps be noted that there is no tolerance level / maximum residue level set for wine (which is a processed food item). Under these conditions, the tolerance for berries (group 13-07) applies, which has a tolerance set to 200 ppb (0.2 mg per Liter). In Europe the MRL for “grapes” applies, which EFSA set at 50 ppb 500ppb (Thanks for the correction, Bunker_D_!). It should also be noted that this particular MRL is not driven by chemical-analytical considerations. So the good news is that the glyphosate levels found are all below the maximum allowed legal limits, although not by much (minimum factor is just 2.7 between the maximum concentration found and EFSA’s MRL). The maximum acceptable daily intake (ADI) for glyphosate (i.e. the concentration which is supposedly still safe) is set by EFSA to 0.5 mg/kg bodyweight per day (other agencies came up with very similar values). In the wines tested, the maximum amount detected was 0.018 mg per Liter. In the wines tested, the maximum amount detected was 18 ppb, or 0.018 mg per Liter. This means that to approach the ADI someone would have to consume 35/0.018 or 1944 Liters! Even if it [the ADI] were off by a factor of a thousand, which is most unlikely, it would still mean that one could consume 1.9 Liters of that single sample of wine with the 18 ppb residue every day without a worry. Which is of course mathematically correct. But it misses the point. These calculations are based on the implicit notion that wine is your only plant-based food. Which it obviously isn’t – unless you have a very special diet. And on top of the glyphosate intake via wine all the different food items come other exposures, say spraydrift from a neighboring field. So, the real question is whether the total exposure to glyphosate from all sources and via all pathways is higher than the ADI. Not to mention that humans are not exposed to just glyphosate, but to a whole orchestra of pesticides. But is the ADI sufficiently protective? German scientists have shown that 0.1 ppb of glyphosate, […] has been shown to destroy the beneficial gut bacteria and promote the proliferation of pathogenic gut bacteria. Which is a gross misrepresentation of the underlying publication. First, I couldn’t find the quoted value of 0.1 ppb anywhere in the paper. The lowest concentration that caused an effect on the exposed bacteria (table 2 in the paper) was 0.15 mg/ml, which is a massive concentration of 150 000 ppb (i.e. more than 8 000 times higher than the concentrations found in wine). Second, the authors did not work with pure glyphosate, but with the formulated product (i.e. with Roundup), which is – as also stated by “Moms across America” themselves – far more toxic. So it was not 150 000 ppb glyphosate that caused the observed effects, but 150 000 ppb glyphosate plus a whole cocktail of co-formulants. And I would bet that the toxicity is mainly caused by the co-formulants, as it is well known that surfactants are quite toxic to bacteria. Finally, it might be important to mention that the authors worked with bacteria isolated from poultry, not from humans. Andrew Porterfield posted a comment on “The Genetic Literacy Project’s website, stating that glyphosate’s high LD50 indicates a low toxicity of the compound. I have commented here and here on why I think that this is an oversimplification. But Andrew is of course completely correct when he states that the risk of a compound is driven by exposure and toxicity alike. It’s just that toxicity is far more than LD50 values.